When in season, fresh figs are one of my favorite fruits. They are delicate and mildly sweet, which pairs well with savory flavors such as cheese, cured meats, and vegetables. I just returned from Brazil where my cousin Daniela served wonderful fresh figs brought from a local organic farm; I miss them! The figs in Brazil are three times bigger than the ones I find in the US, juicier and more flavorful. Figs are delicious on their own, in salads, as an appetizer with cheese or prosciutto, as dessert with honey or in tarts, or as jam spread on bread. It has always been a dream of mine to have my own fig tree to pick from… though I may need to have more than just one tree! Figs are a good source of fiber, copper, manganese, magnesium, potassium, calcium, and vitamin K according to the USDA. They also contain many antioxidants such as flavonoids and polyphenols. 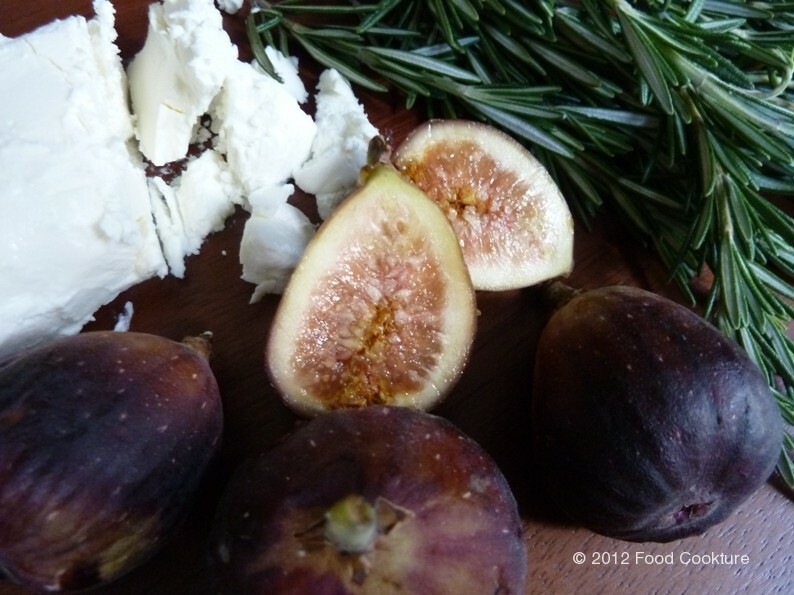 I first ate figs with goat cheese at my friend Halle’s house years ago. She taught me this simple recipe and I fell in love at first bite; never thinking to combine all of these wonderful ingredients together. The combination of the tart goat cheese with the slightly sweet flesh of the figs are enhanced with the spicy note of the pepper, extra sweetness from the honey and sweet earthy tone of the rosemary to bring it all together. You can serve this as an appetizer, or as a snack. You can try with dried figs if you cannot find fresh figs or when fresh figs are not in season. 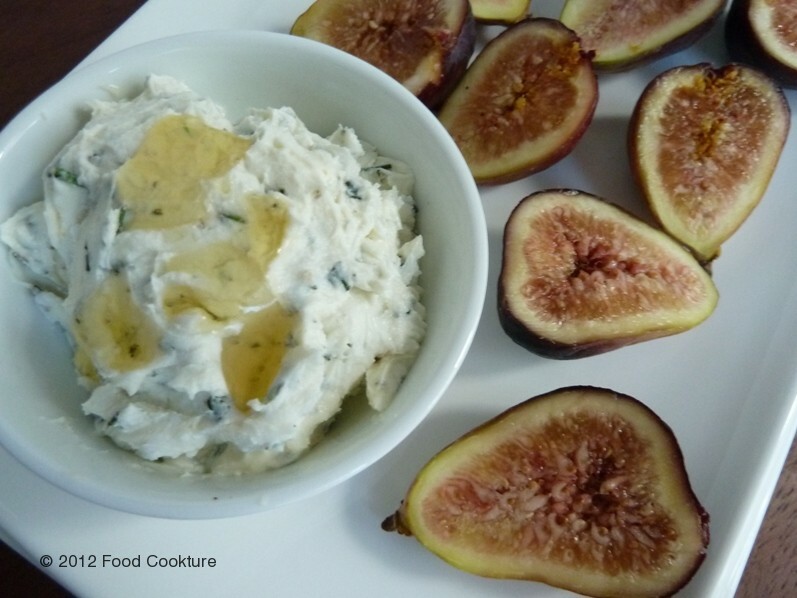 For this recipe, I used fresh California black figs. Carefully wash and pat dry figs and cut them in half (if using small figs such as pictured above) or in quarters (if using large figs), set aside. 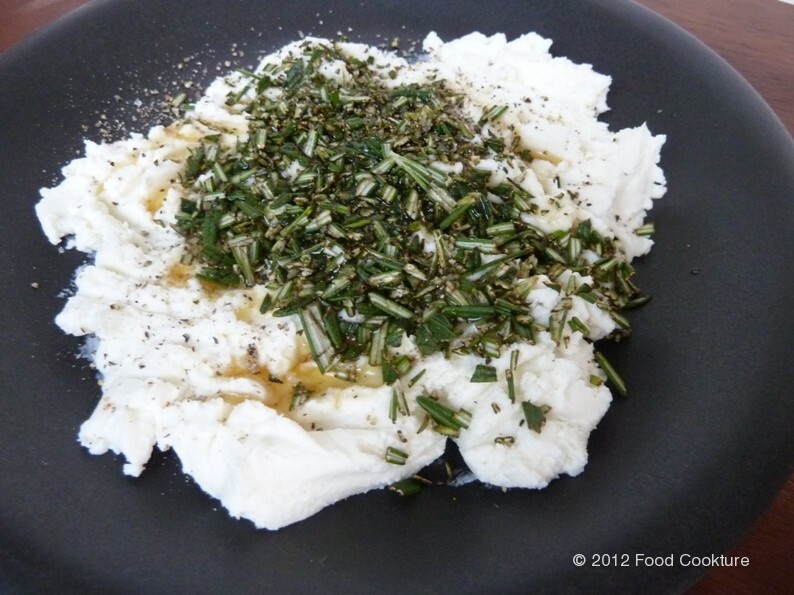 Finely chop rosemary and combine with goat cheese, honey (or agave) and freshly ground black pepper. Use a fork to break the goat cheese and combine all ingredients. Place mixture in the refrigerator until ready to serve. 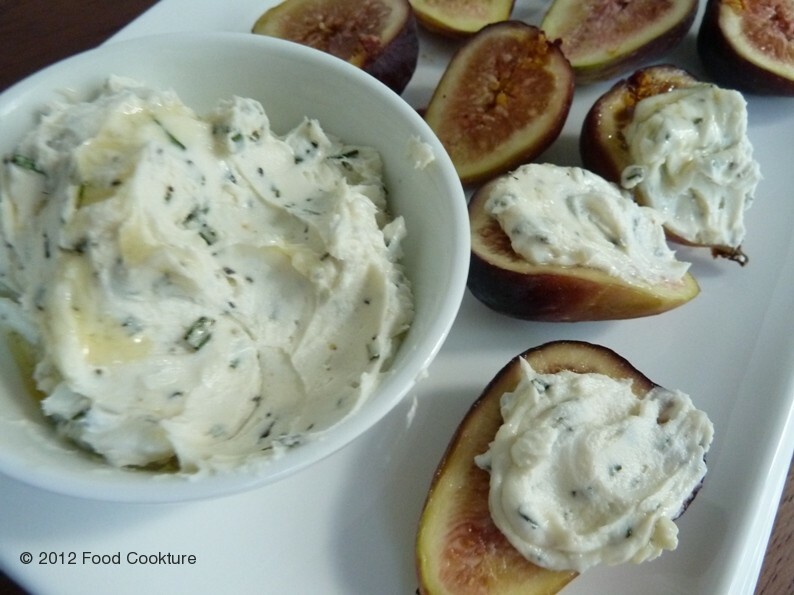 When ready to serve; spread the mixture on the figs or serve the cheese mixture on the side as pictured above. Enjoy this wonderful appetizer or snack with a glass of wine anytime! This entry was posted in Appetizers, Brunch/Breakfast, Desserts, Healthy Cookture, Light Dishes, Snacks, Vegetarian and tagged appetizer, black pepper, cheese, cheese dip, cheese spread, dip, easy appetizer, easy recipes, fast recipes, fig, fresh fig, fresh fruit, fresh ground black pepper, fruit, fruit and cheese, gluten-free, goat cheese, healthy recipe, honey, rosemary, snack, spread, vegetarian. Bookmark the permalink.